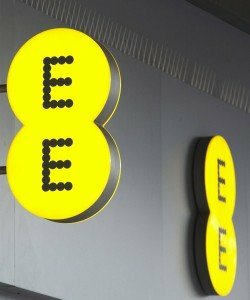 Mobile Network Unlock Codes for EE, O2 and Vodafone UK. Mobile Network Unlocking Codes (NP Codes) for UK Orange, BT, O2, Vodafone, EE, Giff Gaff, Lebara, Lyca. Suitable to Unlock iPhone 4, 4S, 5, 5C, 5S, 6, 6 Plus, 6S, 6S Plus, 7 & 7 Plus. Also suitable for obtaining unlock codes for Huawei, Motorola, LG, Sony Xperia / Ericsson, Blackberry, Google Pixel, Nokia, Nokia Lumia, Apple, Samsung, Vodafone Smart & HTC phones. IMSI / MNC UK Mobile Network Codes. The free Mobile Network Codes cover the entire range of providers listed above. ALL ‘virtual’ mobile providers such as Virgin, Giff Gaff, Lebara, Lyca, Tesco and so on use one of the UK codes listed below. Get your phone unlocked online today! Apple, Nokia, Samsung, LG, Sony Ericsson, Blackberry, Huawei, Motorola, Google Pixel, Vodafone Smart & HTC phone unlock codes. We can unlock Nokia, Nokia Lumia, Apple, Samsung, Huawei, Motorola, LG, Sony Xperia / Ericsson, Blackberry, Google Pixel, Vodafone Smart & HTC phones. Click on your phone manufacturer below and get your phone unlock code (NP Code) today! Important: The unlock codes on this page will not get your iPhone unlocked for free. There is no such thing as being able to unlock iPhone free, free pin code, free NP codes or free mobile unlock codes. Any website that says they will provide you with a free iPhone unlock or free unlock code is probably a scam. Our iPhone Unlocking Codes & Products Will Work On ALL UK Networks. To get your iPhone unlocked sometimes you will need to use these free iPhone mobile network unlocking codes. We have provided all the UK codes you’ll need to get you up-n-running. In most instances you will never need them. We put them her to make sure we’ve covered every option to ensure a smooth iPhone unlocking experience. Below is a list of all the mobile providers currently operating in the UK. Many of these free UK mobile network unlocking codes are called MNVO’s or ‘virtual’ network providers. This is because they piggyback off ‘real’ network providers such as Orange, O2, Vodafone, EE & 3. If you don’t see yours listed please send us a quick note and we’ll add it to the list. Read our O2 Unlock Guide. Additional IMSI / MNC UK Mobile Network Codes. If your UK providers Mobile Network Code (MNC) is not listed above, please check out below. Your provider code is completed by adding MCC + MNC + enough zeroes to make 7 digits. Suitable to Unlock iPhones 4, 4S, 5, 5C, 5S, 6, 6 Plus, 6S, 6S Plus, 7 & 7 Plus. Getting your Samsung Galaxy S4, S5, S6 Edge Plus, S7, S8 Plus, S9, S9+ unlock code for free. In addition to our myriad of phone unlock codes we also offer unlocking services for all Samsung Galaxy handset models. This includes the Galaxy S4, S5, S6 Edge Plus, S7, S8 Plus, S9 & S9 Plus. If you require a free unlock code or free NP code you can read our Samsung unlock guide here which covers all major UK networks. 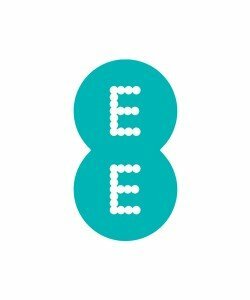 Samsung Unlock Codes for EE, Vodafone, O2. Popular the world over just as much as they are in the UK, Samsung handsets can be unlocked using a simple 8 digit code. These Samsung unlock codes can be used on any handset model and all phone networks will provide one on request. If you need to unlock your Samsung mobile phone to use on a different network then you need a Samsung unlock code. What is an unlock code generator for Samsung, LG, HTC, Alcatel, Huawei or Motorola? You may have heard of an unlock code generator from friends or around the internet on forums and so forth. Firstly, it’s important to note that your mobile phone must be connected to a computer and software to generate a code. Secondly, you must understand, unlock code generators, whether they’re for Samsung, LG, HTC, Alcatel, Huawei, Motorola or any other handset do not exist. It’s just another way to get an phone unlock code for your handset. Unlock your Motorola handset here. We’re now able to factory unlock iPhone XS, XS Max and XR. Finally, we’re able to offer an IMEI whitelisting service for the iPhone XS, XS Max and iPhone XR. All major UK network providers are covered. The most popular ones are EE, O2 and Vodafone. If you want to unlock iPhone EE this is the place. Huawei unlock codes for EE, O2, Vodafone. You’ll be please to learn that we can also provide unlock codes for all Huawei handset models and UK network providers. Go to the Huawei unlock service page for prices and details. Additionally, you can read our latest guide for how to unlock the Huawei Mate 20 Pro, Lite and X for free. 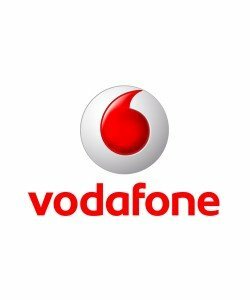 Here’s how to get your Vodafone unlock code for free. If you’re handset is locked to the Vodafone UK network you may want to get it unlocked so you can use any network. This can be straightforward if you are already a Vodafone customer. Your Vodafone SIM card needs to be at least 30 days old before applying for an unlock code. 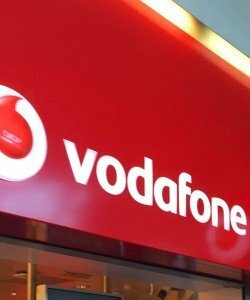 Just go here to get your Vodafone unlock code for free. If you’re not a Vodafone customer we have a couple of other solutions for you. Firstly, for Samsung handsets go here, for Vodafone Smart handsets go here, and for iPhone users go here. Additionally, click here for a quick search of the website to see if we can provide your Vodafone unlock code. What is an iPhone unlock code? Simply put, there is no such thing as an iPhone unlock code. When unlocking an iPhone it has to be done via the Apple database. Your IMEI is submitted for an unlock request to Apple. The handsets IMEI is then ‘whitelisted in the Apple database. Once this is done you will have to connect to iTunes to complete the unlocking procedure. How quickly can you unlock an iPhone in the UK? This depends on the network it is locked to. As a guideline EE takes the longest at around 5-7 days, Vodafone usually take 3-4 days and O2 take around 2-3 days to unlock your iPhone. Unlock times can and do change regularly. 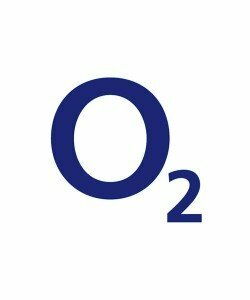 O2 unlock code for all handsets. If you need to unlock a phone that is locked to O2 we have a range of codes for any handset. If your handset is not listed above please use the generic O2 unlock code service that will provide a network code for any IMEI locked to O2 UK. HTC unlock codes for EE, Vodafone, O2. We are now servicing all HTC handsets and providing HTC SIM unlock codes for very low prices. We can provide a HTC unlock code for any handset and all major UK networks including EE, O2, and Vodafone. If you wish to unlock HTC phone visit this page for more details. iPhone Model and Network Sim Card Types Used. UK Network Providers & Their True Networks. For use with our Pin unlock codes & iPhone unlocking services. If you purchase an iPhone Factory Unlock you will not need to use any of these codes. To re-iterate, these UK mobile network unlocking PIN codes which are used to Unlock iPhones 4S, 4, 5, 5C, 5S & 3GS, 6, 6+ are only for the R-Sim 9, R-Sim 10 & Gevey interposer products we sell. 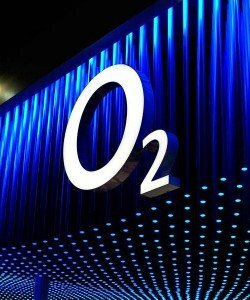 Sony unlock codes for O2, EE, Vodafone UK. These Sony unlock codes are for all UK networks including Vodafone, EE and O2. Plus all other virtual networks such as Tesco Mobile, Virgin, Sainsbury’s and more. Additionally they are for all Sony Ericsson and Sony Xperia handsets. To IMEI network unlock your Sony mobile phone click here and follow the on-page instructions. Frequently asked questions about mobile phone unlocking, iPhone IMEI factory unlocking and SIM unlock codes. Is it possible to get a free unlock code? Generally speaking free unlock codes are a scam. You may be able to use bootloader software to obtain a free unlock but most software is also a scam. Some websites offer a free unlock code for completing a promotional offer which isn’t really free but is as close as you can get. The best way to obtain an unlock code is using a low cost IMEI based service. What is an unlock code generator? Simply put, an unlock code generator will provide a network unlock code for your mobile phone. Unlock code generators take many forms and can be instant or take 24 hours or more. Some are software based that requires your IMEI number whilst others may require you to plug your handset into the computer. You will then need to install bootloader software onto your handset. The safest option is to request an unlock code using your IMEI number which can take from 1 hour to a number of days. What is a mobile phone unlock code? A mobile phone unlock code is a series of numbers and characters which you enter into your handset to allow you to use a different network or SIM card. Entering the phone unlock code will release you from the original network the handset was locked to when it was purchased. What is a mobile SIM network unlock PIN? In order to unlock your mobile phone to use it on any network you will need an unlock code. This is sometimes referred to as a SIM unlock PIN, network unlock code, PUK or NUC. The SIM network unlock PIN is entered into a screen on your handset which then unlocks the phone so you can change your SIM card to another network. Your HTC mobile phone should now be unlocked. Can I get a free instant unlock code? Unfortunately you cannot get a free instant unlock code for most handsets and networks. This includes Samsung, Sony, Apple, Huawei, Motorola, ZTE, Nokia and Google Pixel. You can however get an instant unlock code with HTC. The other handsets can take anywhere from 3-24 hours or more. Super-fast mobile phone unlocking online. With so many websites and so many scams you might begin to wonder where the best place is for mobile phone unlocking online. Thankfully, you won’t have to look any further than NetPal. We’re online experts in phone unlocking and will get your mobile released from your current network quickly and cheaply. Our hassle free phone unlocking service provides SIM unlock codes direct from the networks so they’re guaranteed to work. Your shiny new mobile phone deserves better, and with us that’s just what you’ll get.